Chances are good that the Microsoft Edge web browser is not your cup of tea. Edge is the default Windows 10 web browser. In combination with its great, great uncle, Internet Explorer, market share for Microsoft’s browsers has slipped from 32% to 21% in the last year alone. In all fairness, though, Edge’s market share itself is up half a percent year over year. Still paltry compared to the 5% increase experienced by both Chrome and Firefox. 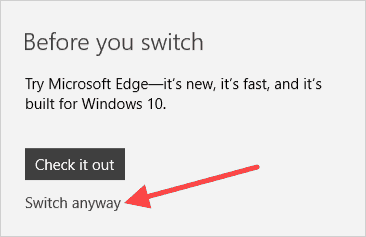 You may unwittingly use Edge if you are new to Windows 10. Or perhaps you copy/paste links from applications into your preferred web browser to avoid Edge. 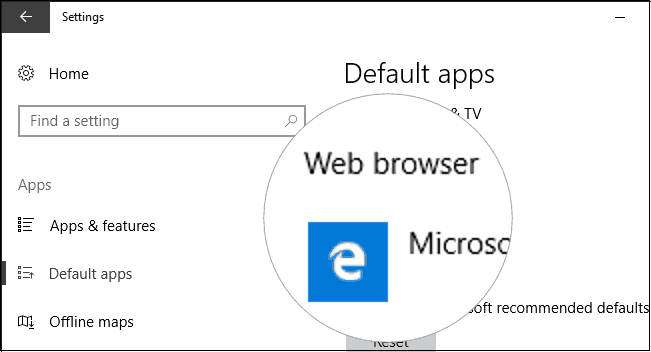 Either way, it’s easy to change the default Windows 10 web browser app to the one you like better. You just need to know where to look. Microsoft tells you that Edge is new, fast and built for Windows 10. Edge has a minimalistic user interface design that keeps it lightweight. It renders pages quickly and works well for normal web browsing tasks. The option to set a group of tabs aside and to restore them later is useful. It’s not so much what Edge has, but what it lacks. One annoying omission is the inability to press and hold the back and forward buttons to scroll through tab history. Of the top 8 web browsers, all but Edge have that feature (including Internet Explorer). The option exists to right-click on the back and forward buttons to select History, but you’ll see your entire browser history instead of tab history. Another limitation is Edge’s lack of extension support. It sports a mere 70 extensions. 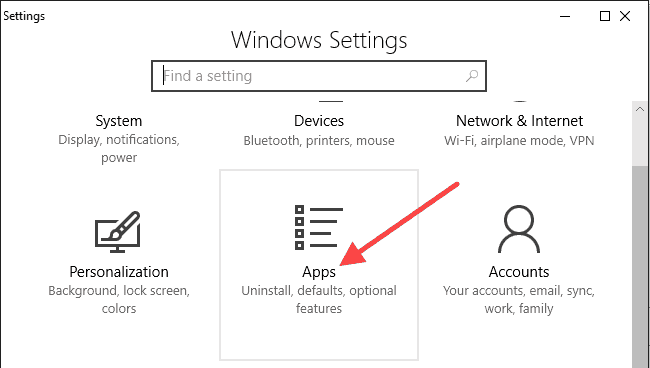 To change the default Windows 10 web browser app to something other than Edge, follow the steps below. Note that these steps are for users who are running the Windows 10 Creators Update (version 1703). If you have yet to upgrade from the Anniversary Update or older (hint: you should upgrade), then refer to this article instead. Click the Start button, and click the gear icon to open Settings (or use the Windows +I keyboard shortcut). In the left navigation, click Default apps. You can also type default app settings in the Settings search box to get there. Scroll down the list of Default apps to the Web browser section. 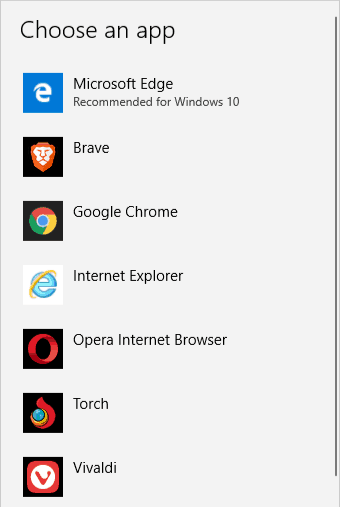 Click Microsoft Edge to display a list of the installed web browsers. Click your preferred web browser under Choose an app to set it as the new default browser. Windows 10 will prompt you to check out Microsoft Edge before you switch. Click the Switch anyway link. In this example, we selected Vivaldi because it is the best web browser. 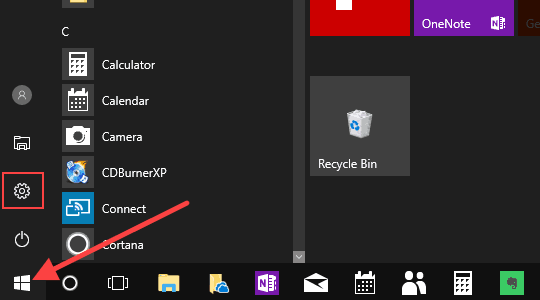 When you click links in other Windows 10 apps, they will now open in your new default web browser instead of in Microsoft Edge. Thank you for visiting Tech Help Knowledgebase to learn how to change the default Windows 10 web browser app.